OUR AIM IS SIMPLE, LIVING IN STYLE At Fire & Co, we pride ourselves on sourcing the next trendy thing in home interiors and passing them on to you. We have put the work in so you don’t have to! We’ve helped you find stylish furniture that works and compliments your home, delivering the look you want whilst making it as comfortable and desirable as we can. The team have travelled the length and breadth of the country, testing out fabrics and multiple designs making sure we bring you the best from what we have sourced. We’ve researched suppliers and manufacturers in abundance, taking our minds, bodies and souls to trade shows across the globe to find you our customer the most desirable furniture pieces imaginable. We will help you style your home piece by piece, building your own story within your living space, whether it is contemporary sleek design or a Moroccan bold take, we will guide you to help you create your dream home, which will not only be style conscious but also not break the bank. As the saying goes; “An Englishman’s home is his castle”, and comfort, ambience and design all play major roles, without these elements, no dream interior can exist! 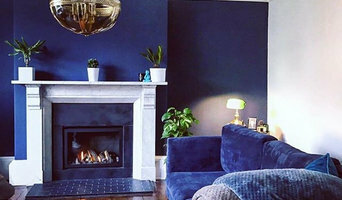 So when it comes to interior design, Fire & Co have sourced the most unique beautiful pieces that feel personal to you and your family, which we believe is key to making your house a home! 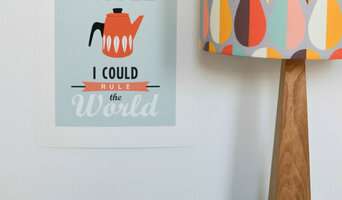 Online UK based home accessories boutique, we make and sell lampshades, lamps and cushions in bright patterned fabrics. Here at B M Handcrafted furniture we manufacture all of our upholstered furniture at our north east workshop and showroom. We specialise in manufacturing beautiful handcrafted sofas and chairs made by our dedicated team of skilled craftsmen. We can offer you a bespoke service and are able to make a truly individual piece of furniture just for you. Fitted bedrooms didn’t have the best reputation. Dated, bulky, inflexible and hard to fit, they were in serious need of a new lease of life. That’s why Kindred was born. We decided they deserve better, so set out to become the new face of fitted by creating stylish, contemporary furniture that not only suits your life but complements it. Schüller is one of the most recognisable German kitchens brand, renowned for precision engineering, exceptional quality and a sleek finish at a competitive price. Schüller strives to remain one step ahead in the world of kitchen design, creating new ranges that deliver a fresh approach, but maintain the high quality and reliability customers have come to expect. Hand crafted pieces of furniture, lovingly made here in England. All our pieces are skillfully and lovingly crafted by our artisan upholsterers! Each sofa and chair is made for you on order, this means we can assure the pieces are of perfect standard and are made exactly how you desire! We believe that quality over quantity is key, this is why we make each piece on order rather than holding stock. This also gives us the ability to have pieces crafted in fabrics outside of our usual palettes to create truly unique pieces of furniture! We help Interior Designers provide unique fabric & furnishings for their clients. Kaydian is a leading supplier of upholstered bedsteads to the UK contract and retail sector. Established in 2004 Kaydian has built a reputation for supplying quality products together with excellent service. Our featured products are available from stock and new lines are introduced to the collection on a regular bases to complement existing products and incorporate market trends. Malcolm Lewis creates Art and luxury high end design pieces like no other! His pieces are made by himself in the Northeast of England and all his hand made pieces are different. His designs have been made and sold to many high profile clients and have become big statement pieces in many clients homes. The designs divide opinion but never fail to be noticed. Raskl Limited is a design studio specialising in the design and production of highly personalised and individual furniture, as well as offering prototyping services to the furniture, interiors, architect and construction industries. The company is owned and run by a team who share a long history of creative projects, concept development and furniture design and manufacture. Predominantly working with hardwood RASKL also have a wealth of experience working with glass, metals and plastics in their comprehensively equipped hand and CNC workshop. 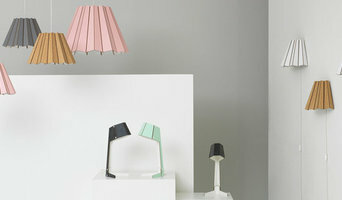 Raskl approaches each design as a new and exciting opportunity to conceive an original idea either in form or function. The story behind the way a particular piece is made is often as interesting and innovative as the way it looks. This practice has led to a very broad body of work stylistically and RASKL have produced hundreds of works ranging from smaller art pieces to full-scale room installations for a wide variety of clientele, from the terraces of Newcastle to penthouses of Monte Carlo. Having now invested in in-house CNC machining facilities, the design team are working on a range of products suitable for retail and interior specification using their wide ranging experience in both custom design and manufacturing knowledge. Welder/ Fabricator hand making bespoke furniture from new and reclaimed steel and wood. All items are handmade in the North East of England and can be shipped anywhere in the UK. If you have a furniture design in mind that you would like making don't hesitate to get in contact. Why should I use a Newcastle upon Tyne, Tyne & Wear furniture designer or home accessories professional? Think about what pieces you need or what your vision for the overall look of the room is. Do you have very specific ideas for what furniture you’d like or do you just know the colour palette or the basic type of furnishings and accessories you want? If you have very specific ideas it could be an option to look at Newcastle upon Tyne, Tyne & Wear bespoke furniture designers and makers. They will work with you to produce one-of-a-kind pieces to make your ideas come to life. 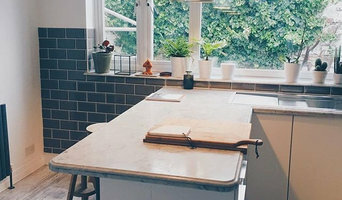 Otherwise, it’s a fantastic idea to hire a Newcastle upon Tyne, Tyne & Wear home furnisher to help you choose furniture and accessories to work with your interiors. Professionals with years of experience will have a great eye for picking out the right pieces based on your brief and your room design, saving you the time and stress of hunting down the pieces yourself. However, when not constrained by time, some homeowners can really enjoy the furniture hunting process. Tracking down unique or vintage home furnishings from furniture manufacturers, retailers, car boot sales, showrooms, auctions and home furnishing stores in Newcastle upon Tyne, Tyne & Wear can be a real thrill, especially when you find exactly what you were looking for or perhaps something completely unexpected but brilliant nonetheless! If your budget can’t stretch to bespoke, designer or professional-picked pieces, this is also the best and most convenient option. Try browsing through the collections from a furniture manufacturer to see if they have any styles you like, or scour secondhand furniture shops and auction houses if you’re after something with a history. It’s not all about the furniture, though. Your home accessories can provide the finishing touches to any room in the house. Table lamps, plants, cushions, rugs, candles, ornaments, artwork and picture frames are just a few of the accessories you can use to round off the style of your room and add personal touches. It’s easy to find ideas for these smaller furnishings with plenty of Newcastle upon Tyne, Tyne & Wear home furnishing stores and their products listed, as well as the furniture designers, manufacturers and makers. Find Newcastle upon Tyne, Tyne & Wear furniture designers and accessories manufacturers, showrooms and suppliers on Houzz. Narrow your search in the Professionals section of the website to Newcastle upon Tyne, Tyne & Wear furniture and accessories, then choose the nearest area for showrooms and retailers. Or you may want to look through Newcastle upon Tyne photos to find furniture designs you like and contact the furniture manufacturers and showrooms directly.